AD 439: the Roman Empire is on the brink of collapse. With shocking speed a Vandal army has swept through the Roman provinces of Spain and north Africa, conquering Carthage and threatening Roman control of the Mediterranean. But a far greater threat lies to the east, a barbarian force born in the harsh steppelands of Asia, warriors of unparalleled savagery who will sweep all before them in their thirst for conquest – the army of Attila the Hun. For a small group of Roman soldiers and a mysterious British monk, the only defence is to rise above the corruption and weakness of the Roman emperors and hark back to the glory days of the Roman army centuries before, to find strength in history. But then they devise a plan of astonishing audacity that will take them to the heart of darkness itself, to the stronghold of the most feared warrior-king the world has ever known. In the showdown to come, in the greatest battle the Romans have ever fought, victory will go to those who can hold high the most potent symbol of war ever wrought by man – the sacred sword of Attila. Book one in this novel new series, starts with the real birth of the roman empire, the sacking of Carthage, the beginning of their real power in the Mediterranean. 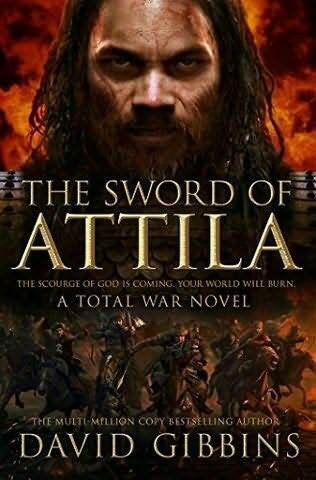 Book 2 The Sword of Attila focuses on the end of the empire, Rome has been sacked a hundred years previously by the goths, and are now on the verge of being kicked out of Africa by the vandals. In the east a new power is rising ruling over the Hun. A much underwritten part of the Roman history, yet there is so much rich, action packed history to delve into. David Gibbins as usual provides immaculate research, he then couples it with highly plausible fictional action. This series is linked to a computer game, it is potentially its flaw, the book provides the reader with all the knowledge needed to play and win the game, to understand the history, and all the elements in it. The soldiers their equipment, the countries the alliances and so much more, so much in fact each book could and maybe should be a series on its own. It is this that made me struggle a little with book one, book two however had the winning extra of including a fictional but highly plausible character Arturus, a dark age figure tied to British folklore and myth. As with so much of David Gibbins amazing Jack Howard series, he gives enough fact to the fictional to show just how possible the it is for Arturus to have existed in this way, and been the basis for the myth. Arturus, coupled with Flavius and many other very real characters really make this book, the occasionally slightly stilted plot (by this im using the comparison of the flowing plot that is the Jack Howard series) is more than made up for with scope, the characters and the copious author notes at the end, making this a very very readable, enjoyable 4/5 stars. Much of the inspiration for my novels comes from my own experiences as an archaeologist and diver. I was born in Canada to English parents, and have divided my time between the two countries when I’ve not been on expeditions and travelling. 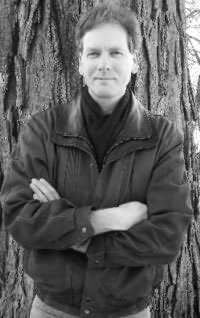 After taking a first-class honours degree from the University of Bristol I completed a PhD in archaeology at the University of Cambridge, and then spent almost ten years as an academic in England before becoming a writer full-time. 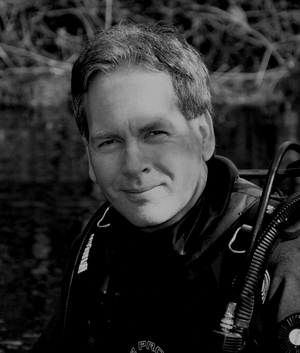 I’ve been a passionate diver since boyhood, and have led many expeditions to investigate ancient shipwrecks in the Mediterranean and elsewhere in the world. For thousands of years, Egypt was a rich, ingenious civilization. Then it became a fertile hunting ground for archaeologists and explorers. Now the streets of Cairo teem with violence as a political awakening shakes the region. Archaeologist Jack Howard has connected a mystery hidden inside a great pyramid to a fossilized discovery in the Red Sea and a 150-year-old handwritten report of a man who claims to have escaped a labyrinth beneath Cairo. For that his team is stalked by a brutal extremist organization that will destroy any treasure they find. As people fight and die for their rights above ground, Jack fights for a discovery that will shed an astounding new light on the greatest story ever told: Moses’s exodus from Egypt and the true beginnings of a new chapter in human history. I have taken my time on this one, i wanted to read an review a little after the book had come out, i also wanted to go back and re-read Pharaoh, to give me that continuity of story arc in a back to back read. I’m glad i did, for me i love that extended storyline, the two books blending so well (yet i can see how they work as stand alone entities) . There has it seems been a story arc in David Gibbins books that has developed and matured over the 8 books written in the Jack Howard series. When i first started reading this author back in 2005, it was with a view to having found a nice fluffy new brain wipe thriller writer, one with a historical twist and not too much conspiracy. What i have got instead has been an ongoing growth in story and characters, a plot that developed in depth and complexity as the series progressed, as the author brought to the fore more and more fantastic yet highly plausible scenarios for famous historical figures or locations. That then evolved again in book 6 when the author delved deeper into the location and reasoning for Atlantis, and its ties to Europe and its development, the development of language and nations all of this wrapped up in a highly thrilling adventure story. 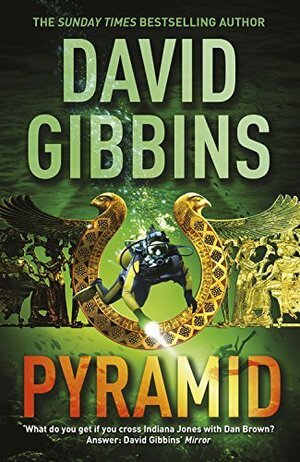 Then comes Pyramid, this book brings everything full circle, the characters, the plot, the hypothetical journey of mankind and which nation influenced which (Greece or Egypt), all of this told against the backdrop of an Egypt going up in flames, literally. The descendants of the Mahdi (out for revenge for a slight 100 years old, committed by Kitchener after the death or Gordon of Khartoum ), the Jihadists, infiltrating all levels of government until Egypt is ready to fall, and with it the western worlds cradle of archaeology. The country that captures the imagination with its immense age and towering monuments, all at risk, and Jack and Costas searching for the last clues to 10 years of searching, a trail of clues spanning 8 books, to find Akhenaten, his links to Moses and what drove these men, one to destroy and army and turn against his gods and another to found a people. The final chapters of this book are utterly breathless, not just because the many times one or both of our heroes are down to little or no air left, but the power and pace of the story. David Gibbins captures the feel, sights and sounds of a city tearing its self apart, descending back into the dark ages. Sinking to levels of depravity that the mind shies away from. I applaud the authors skill and also bravery in describing the scenes so well, nothing is glorified, it is reported giving it the feel of a CNN news crew at the heart of the destruction and horror, yet keeping the thriller and mystery of the plot going. I truly enjoyed this book, the horror and the fear, the potential for disaster should be mandatory reading to everyone, to understand what we could lose if groups like ISIS ever made it into control of wonders like Egypt, and the wonders we are losing in places like Syria, and the suffering of the people already under the control of these people. At the same time as this serious plot line is an utterly compelling historical adventure thriller, delivered by a man who lives and breathes the archaeology.